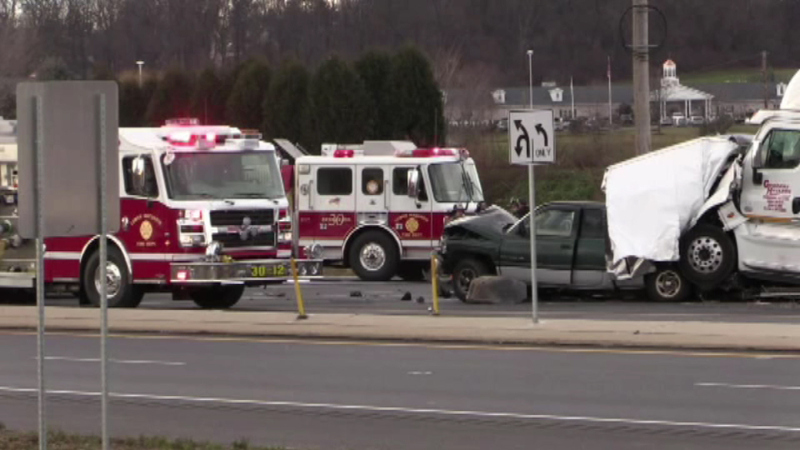 At least one person was killed in a crash in Lehigh County. 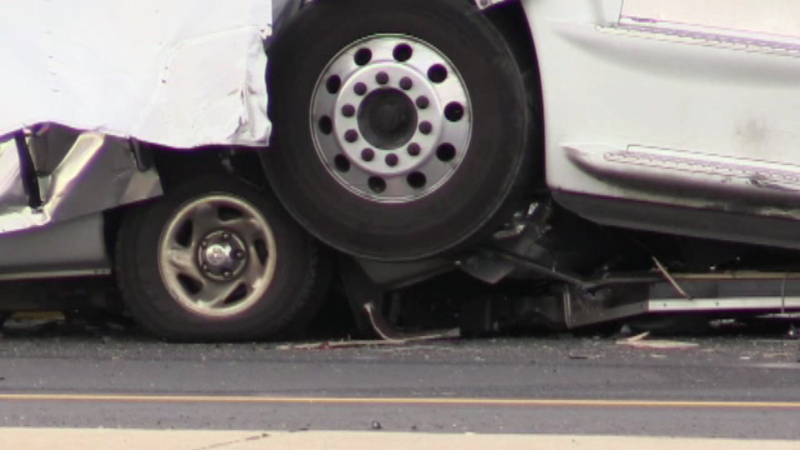 LOWER MACUNGIE TWP., Pa. (WPVI) -- At least one person was killed in a crash in Lehigh County. It happened around 2 p.m. Monday on Route 222 near North Krocks Road in Lower Macungie Township. 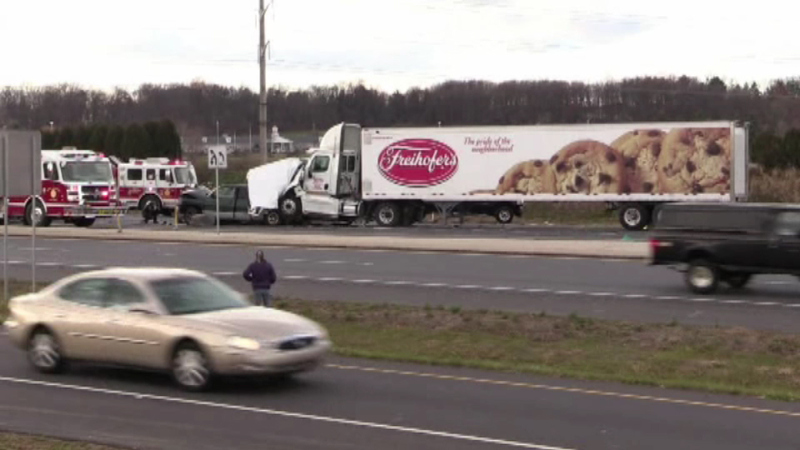 The crash involved a tractor trailer and four other vehicles. The 18-wheeler ended up on top of the bed of a pickup truck.